Alistair Winning is a Senior Director in the FTI Consulting European Tax Advisory group based in London. Alistair is a VAT specialist leading the indirect tax services for the FTI Consulting Life Science clients. Alistair has provided VAT advice for over 10 years and has experience in international supply chain issues for distributors and VAT related intellectual property licencing issues. 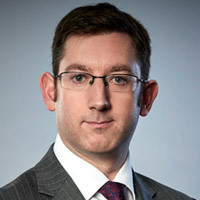 Alistair also has significant experience in advising businesses and charities in the medical sector. Prior to joining FTI Consulting, Alistair worked at KPMG where he advised a variety of clients on UK, EU and international indirect tax issues.